Here at ChiIL Live Shows we know Chicago style improv and sketch comedy is second to none. 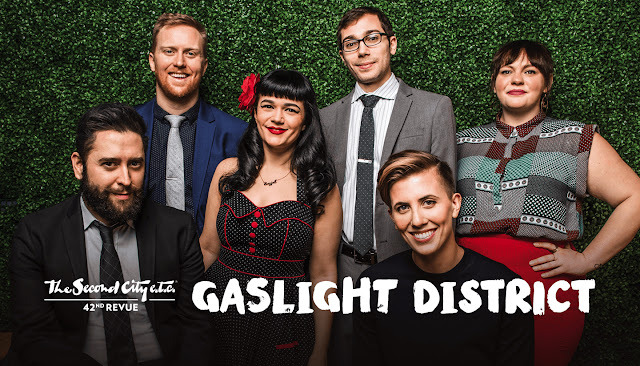 We'll be ChiILin' at Chi, IL's renowned Second City this Friday for the press opening of GASLIGHT DISTRICT, The Second City e.t.c. 's 42nd REVUE. These are some seriously funny actors and we can't wait. From aliens to the alienated, savage roasts to distorted boasts, The Second City e.t.c.’s 42 revue invites you along on a frenzied frolic that translates our modern world into the common language of laughter. Clear your mind, open your eyes and hail one wild rideshare to a place where the truth isn’t just out there, it’s waaaay out there. This performance runs about 2 hours with one 10 minute intermission and should be considered rated R.
Returning ensemble members Sayjal Joshi, Alan Linic, Andrew Knox, Jasbir Singh Vazquez, and Jacob Shuda (Musical Director) will be joined by new cast members Emily Fightmaster and Katie Kershaw. 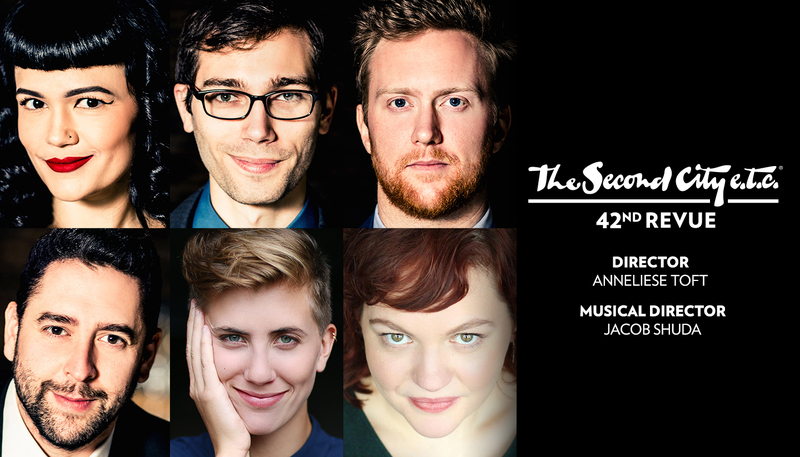 Second City Touring Company director Anneliese Toft will direct her first resident company revue.